Fossils allow us an occasional glimpse into the history of life on our planet, but it takes some imagination to picture what the creatures must have been like when alive. A research team from the University of Manchester and the Museum für Naturkunde, Berlin used simple open-source software and exceptionally preserved fossils from the Natural History Museum in London to recreate the walk of a long-extinct ancient relative of modern-day spiders. The terrifying specimen lived 410 million years ago and was one of the first predators to walk on land. The arachnid group trigonotarbid lived from about 300-400 million years ago and ranged from a few millimeters to a few centimeters in length. According to scientists, they were probably more plentiful on Earth at the time than modern spiders are now. For the first time ever, and thanks to this research group, we are able to see how these creepy crawlies traversed the planet when they were at the top of the terrestrial food chain. 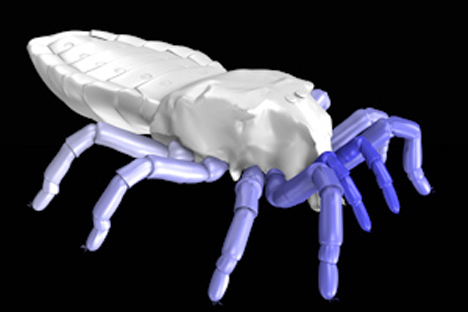 The computer-generated gait simulation was created using cross-section fossils which gave clues to the natural reach and motion of the creatures’ limbs. 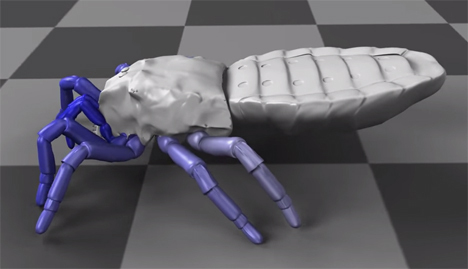 Combining this information with the leg structures and movements of modern arachnids, the researchers were able to create this creepy but compelling animation. One of the most exciting elements of this short animation is the fact that it was made with Blender, an open-source computer graphics program that is accessible to everyone and doesn’t require years of specialized training to use.